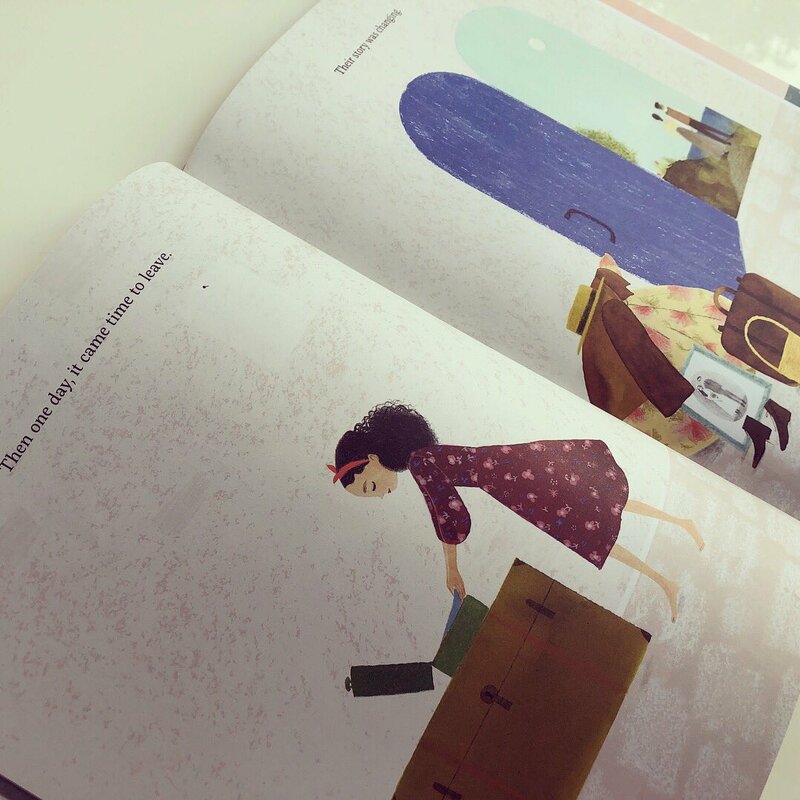 A beautifully crafted tale ‘The Dress And The Girl’ provides a lyrically unwinding text, coupled with beautifully understated but hugely powerful illustrations. Together the girl and her favourite dress live an ordinary life, they enjoy the simple pleasures, watching the sunset, picking wild flowers… but together, they dream of an extraordinary life. 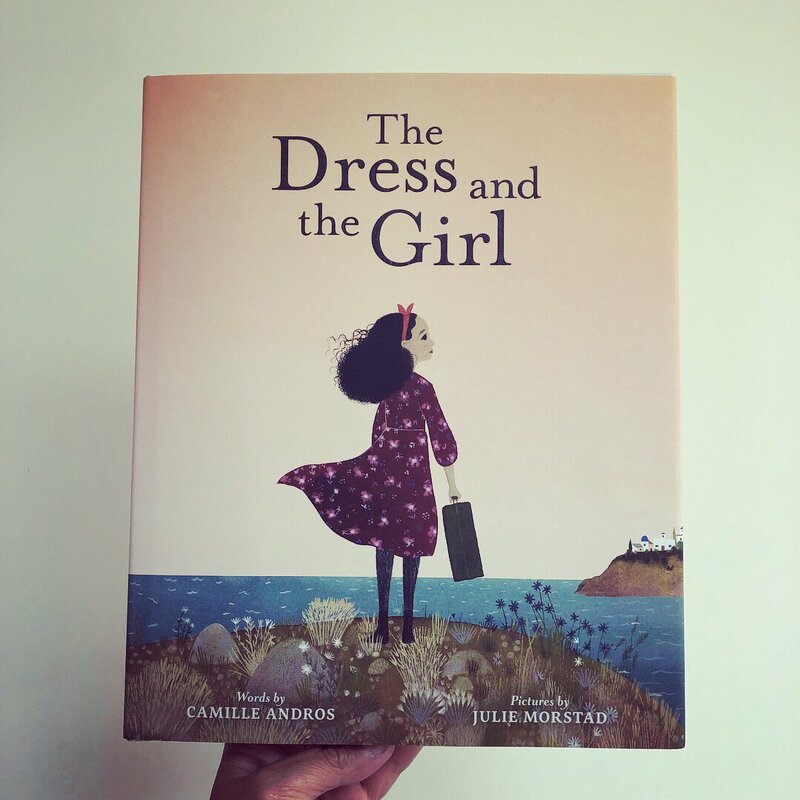 As ‘The Dress And The Girl‘ take a poignant journey from Greece to the States where a new life awaits, upon arrival they become separated and the girl fears her dress is lost forever. The dress embarks upon an eventful journey that takes her to far flung places and new lands… but still no sign of the girl. Travelling the length and breadth of the world in a vain attempt to be reunited with the girl, the dress becomes tired and needs to rest. 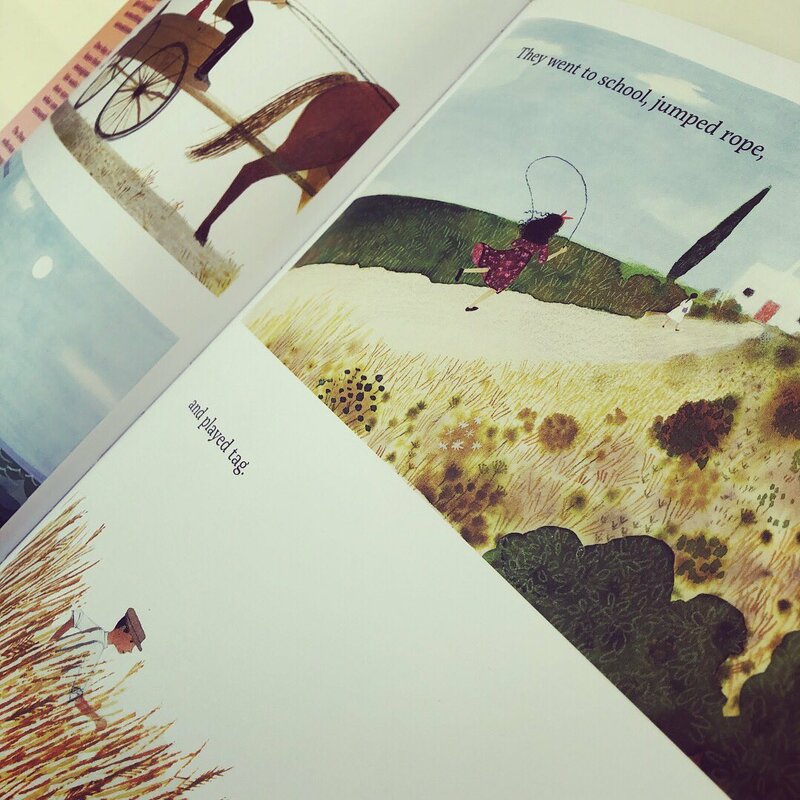 Camille Andros has created a evocative and romantic tale. It is one which will prove to be classically timeless and will be read to future generations for years to come. Julie Morstad‘s delicate and thoughtful illustrations provide the perfect marriage to Andros’s gently unfurling narrative. From the unremarkably ordinary to the altogether extraordinary, this is a unique story of immigration, separation and a joyous reunion.